· One group will be those who add to the ‘Gunn’ weltanschauung. By this I mean people such as Neil M. Gunn and George Gunn reflect on the landscape, history and events which shaped many Gunns in Scotland. Some of the texts involved need not be written by Gunns, for example Mrs Aeneas Gunn (obviously Gunn by marriage) looked at the problem of adapting to a new country, culture and landscape, and these were typical concerns for many of the Gunn diaspora. · A larger group will be those who have Gunn as a surname (or as a main character) but offer nothing markedly Gunn beyond that. 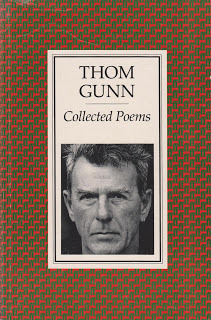 For example, Thom Gunn is the most important writer with a Gunn surname but is he ‘Gunn’ in any meaningful way? This suggests a major, further issue; we may share a history and a family tree but is there anything uniquely Gunn in the modern world bar some shared DNA and a surname? Another part of the heritage is Peter Gunn. He was born in Australia but was European in outlook and behaviour – he never returned to Australia after World War Two. He was mainly a travel writer, and especially wrote about Italy. He shared time in a POW camp with Eric Newby. Peter was also a formidable biographer, a friend of Wittgenstein and a teacher at Sandhurst. His obituary was in The Times of 10 October 1995, His wife, Elizabeth, is / was a novelist, poet and literary critic. 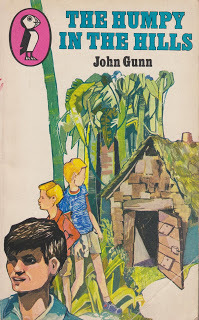 Another interesting writer is the Australian (born in England) John Gunn. Initially he was well known for his children’s novels in the ‘boys only’ style of the 1950s and 1960s; his skill in this area is shown as he won the Australian Children’s Book of the Year in 1959 for Sea Menace. Generally these books were published by Penguin Books in the Puffin imprint. He also wrote non-fiction, adult fiction and books on theatre, travel and flying. Later in his career he became an historian of note – Melbourne University Press published his Along Parallel Lines a History of the Railways of New South Wales 1850-1986. He has also written a three volume history of QANTAS, Australia’s national airline and a companion volume on TAA, an internal airline. And there are many other Gunn authors of note; the American mystery writer Elizabeth Gunn being an obvious example. I must also mention the admirable poetry of Thurso born, George Gunn.